We are dog people. Mostly because my one of my best friends is (she’s a great influence on my life) and probably even more so because John is allergic to cats. In August 2014 our beloved Lucie died of old age. 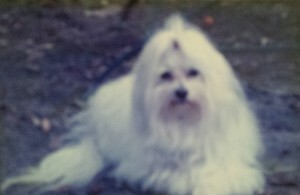 She was a rescued maltese we got just after my rescued lhasa apso died. John had been insisting for years that our next dog was going to be a maltese. We found Lucie and adopted her just after her first birthday. She continued to have separation anxiety issues but that somehow made her the best dog for us. She simply fit into our lives. Not only did John get his “beautiful lap dog” but she traveled everywhere with us. It didn’t matter if it was by car or plane. In the first year of her life she had been given up four times before finding us. Before her death she had been to 39 states. Her death was not unexpected but it still created a sadness in our household. We decided to not get another dog right away. It was just too sad. We did lots of travel. We traveled “light” without our dog bag with a dog in it. We stayed in hotels that do NOT allow dogs. We went overseas a lot. All things we could now do now that we were no longer dog people. Every once in a while we would talk about getting another dog. That conversation usually trailed off after discussing how much we missed Lucie and how we will never find another dog like that again. Then randomly on December 16 I honestly felt God tell me that now is the time to look for a dog. I mentioned this to John and he said, “Yes it is.” Our conversation about missing Lucie was nearly non-existent. I started looking with only these thoughts in mind. We knew we wanted another rescue, preferably one with issues again. John is home all the time so we can work with a dog that needs that extra attention. We knew we wanted a furry dog. As beautiful as our maltese and lhasa apso were, the hair care fell to me and I was done with that kind of hair but we still wanted furry. We also wanted small in the hopes the dog would be able to travel with us. We knew there would be no guarantee on that one. I entered the dog rescue world. I filled out many applications—often very lengthy. I’m sure there are lots of good people running these dog rescues but I don’t think human courtesy is one of their strengths. I never heard back from most of them. I stopped getting “attached” to the dog in the description and began randomly sending out applications with little attachment to the dog. I stopped showing John each dog I was putting in an application for. Then out-of-the-blue on January 4 I was told we qualified for this thing. I didn’t even remember applying for this thing. I retraced my steps and then remembered. The day after I applied I had check on him again and saw that his post had “adoption pending” on it. I moved on believing we missed out on another dog. Turns out that “adoption pending” was us! 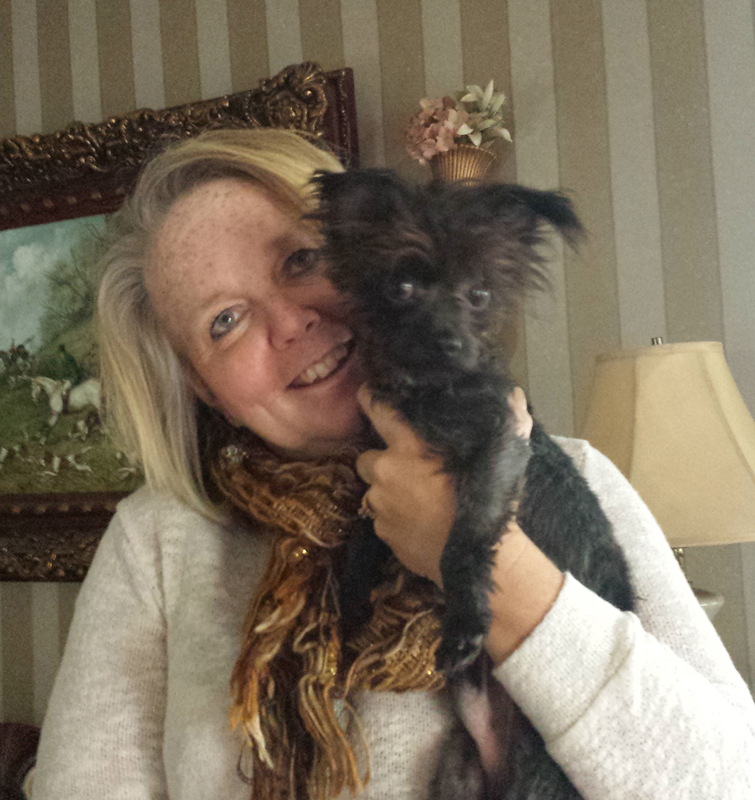 On January 7 we adopted Louie. He’s a 1.5 year yorkie and Chihuahua mix. All of 6.5 pounds on the day of adoption. We asked several family members to submit names for this thing giving them only that picture. Our daughter-in-law “won” with her name of Louie, as in fits in a Louis Vuitton bag. Once we got him, he just looked like a Louie. We found out several days later that he is actually a chorkie, which is a pedigreed designer dog. He’s definitely a Louie. The back story on Louie is mostly a mystery. This is what the dog rescue told us. “If you would have seen what this poor boy looked like when he first came in it was just pitiful. He was completely matted with feces and urine just covering his body. The smell was sooooo bad. We actually sedated him and shaved and bathed him then neutered him all at the same time so he would feel better and we could address the skin issues from the mess he was in. Wherever he was prior was definitely not a good situation. Yet he remained sweet through it all. He has been a little hyper but I think its because he was so overwhelmed with all new things. Not sure he had ever touched grass before as that was all new to him. I am so happy he has found you guys and will have a wonderful life from here on out. Thank you for opening your heart and home to him.” Then he proceeded to spend 6 months at this dog rescue before we adopted him. What a sad story with such a happy ending. The happy ending continues to be written because Louie fits into our home and lifestyle perfectly. He doesn’t seem to have any “issues” and is just a happy guy who goes from my lap to John’s lap. His fur is continuing to grow back so we aren’t sure what we have there yet. I can’t say he plays ever but may be that will come. And he’s so quiet. Yorkies and Chihuahuas are not known as quiet breeds. The mix together sounds like yippie-hell. Not this guy. We can tell already he will be a good traveling dog which means he will definitely be getting to California and hanging with me at the Huntington Beach dog beach (a favorite dog spot of mine). John and I have a dog again. This is the amazing thought about all this. God cared so much about us that he arranged the universe for us to get this dog. He was ours the day I applied for him though it took two weeks for us to find out. He had to wait six months in that dog rescue for him to get to us. He had to get to us because he brings us such simple joys in our empty nest home again. This is the dog–out of all the other dogs–for us. In times when I feel like God never answers my prayers, when I’m praying from Overwhelmed Land, when I am exhausted from being in the “war room” praying for my kids and grandkids, when I have to remind myself again and again to stop praying numb, I have this dog. Louie reminds me that God does hear me. Nearly every time I sit down to spend these times in prayer, Louie is there in my lap. He is always in a lap. This is Louie who fits in a Louis Vuiton bag named by our beloved “daughter-in-law” to daily remind me that God does hear me.